Thinking Fans mourn: Matthew J. Cormier says, “I can’t even begin to know how Guiding Light fans are dealing with the loss right now. I was such a wreck when Loving, The City and Port Charles were cancelled and they didn’t run nearly as long as Guiding Light” … while Blake reflects, “It’s really going to hit me some time, but right now I just feel sad every time I see an article about GL being cancelled” … and more. See Comments below. 1. Allow yourself to feel whatever feelings come up around GL‘s cancellation. You may feel angry, disappointed, exasperated, depressed, maybe even relieved. Whatever it is, it’s okay. The worst thing you can do in this situation is to undermine the seriousness of your emotions by saying, “It was just a soap opera.” Yes, it’s entertainment, but it has been an integral part of millions of families for several generations. 2. Talk about your loss with others. Be kind to those who have never watched the show and don’t understand what you’re coping with. The internet gives us a wonderful opportunity to share our pain with each other. Use message boards and comment sections to share your memories. 3. Understand that everything in this world eventually dies. Everything. I will die, you will die, redwood trees that stand for 100 years will eventually die. 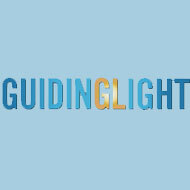 Guiding Light has defied all the odds in the entertainment industry by remaining a powerful force for 72 years. We have a choice to celebrate that. 4. Try losing “shoulds” about Guiding Light’s cancellation. I know this is hard. Dropping the “shoulds” isn’t the same as saying that it is okay for this to be happening; it is simply practicing humility to recognize that none of us truly know how things “should” be. The purpose of this is not to excuse what is happening, it is to allow yourself more peace with what is happening. 5. Take back from this show what is yours. Even if network execs take away the program itself, they will NEVER take away its meaning and importance in my life. They will never cancel how I’ve been inspired by Reva’s resilience, Harley’s spunky determination, Holly’s complex emotions, or even Nola’s nutty daydreams. Roger Thorpe, Rick & Phillip, Blake & Ross, Annie Dutton, and of course “Otalia” have in one way of another enriched my world. These characters will stay alive and vital as long as I do. So now it’s your turn. How are you dealing with this loss? Who are the characters that will stay with you long after the Light goes out? Please share any of your memories and thoughts with Marlena and the Soap Shrink below. Well said. Those steps are simple but will go a long way into helping so many people cope with this sad, tragic loss. I can’t even begin to know how GL fans are dealing with this loss right now. I was such a wreck when “LOVING”, “THE CITY” and “PORT CHARLES” were cancelled and they didn’t run nearly as long as “GL” has run. Thanks for your powerful words. Damon says: You’re right Matthew, they are simple steps, but they can be very hard to apply in the midst of much emotional turmoil I, myself, had to apply these steps to Another World when it was cancelled, and still do. It’s really going to hit me some time, but right now I just feel sad every time I see an article about GL being cancelled. I know down the road I’m going to be depressed when the day gets closer. I feel we are going to need a cyber support group. Damon says: I’m sorry about your sadness, Blake. I’m with ya! But I know from experience that using these tools above can help. And cyber support groups too!! Excellent advice, Damon. Thank you so much for sharing. I have been a Guiding Light viewer for 31 years and am sad to see it come to an end. However, I will forever cherish the memories that I have of it. An actress AND character who will forever be ingrained in my memories from Guiding Light: Beverlee McKinsey’s Baroness Alexandra Spaulding von Halkein Thorpe. Beverlee was the epitome of a class act and she imbued Alexandra with so much strength and elegance and grace and class that I always felt that Alexandra was very likely an extension of Beverlee. I loved the character from day one and still hold tremendous respect for Beverlee McKinsey’s acting talent/interpretation of the character. Whenever I think of Guiding Light – now and in the future when it is long gone – I will always remember Beverlee as Alexandra. And thank you, as always, Marlena for creating and presiding over a great forum for Thinking Fans. Damon says: Thank you for such a beautifully written tribute, Raye. Sharing your memory of Alexandra like this is such an eloquent way to remember GL and the much missed Ms. McKinsey. We both loved Reva — she is the heart and soul of the show. I loved all her storylines –and yes even the clone. She had far fetched storylines sometimes but it sticks in peoples minds what Kim Zimmer played. She is such a good actress I am sure I will see her on another soap or even movie soon. I loved the Danny/Michelle era and I liked both adult Michelles equally. When Michelle had to fight Carmen all those years were fun to watch. Dinah (the Moniz and Tognoni versions) I loved. Dinah was such a complex character that you wanted to root for her still even when she shot Hart or kidnapped Lizzie. And some others that left a mark were Alan, Harley, and Vanessa. I just can’t believe how much talent the show has had. I loved most all the characters and that was a reason i watched for 13 years straight. I went through the shock and denial of it because I sure thought they would extend it at least 1 year because the ratings were going up. However, I know that this soap will leave a mark forever. It will also leave a mark for my memories with my grandma. Those are memories that can’t be taken away. I can take comfort in that fact each and every day. Damon says: Levi, your letter touches my heart in more ways than you know. Thank you so much for sharing these precious personal memories with us. I am glad you are finding comfort by sharing them.